The end of the year has been an exciting time to volunteer at our Elephant Care project in Thailand, so we thought we would update you on what has been happening! In November, volunteers were invited to celebrate ‘little’ Pin’s 2nd birthday (she is not so ‘little’ anymore!). A party was held with her mother Pun, and her aunts Kew Petch and Laong Dao, and Pin was presented with some fruity treats. You can learn more about Pin’s family members here! 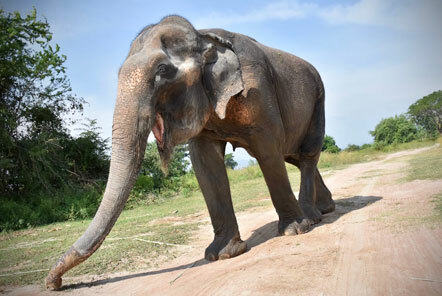 Having being rescued at 8 months old from being sold into the tourist trade Pin’s birthday is a cause for celebration for the project as it is a reminder that she can look forward to a long, happy and safe future. 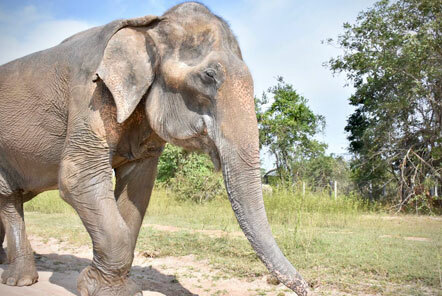 Her life will be free from the years of abuse and exploitation that her fellow elephants had experienced prior to their arrival at the sanctuary. 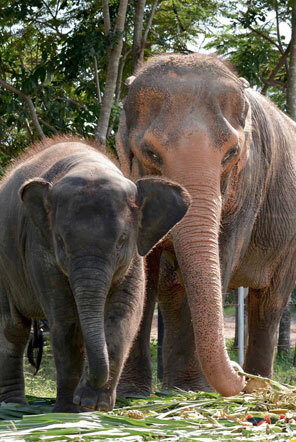 Pin has enjoyed a great start in life at the sanctuary with her mother, Pun. The mother and daughter have a strong bond and never stray far away from one another. Pun can often be seen to trail behind Pin, keeping a watchful eye on her as she enthusiastically explores her surroundings. 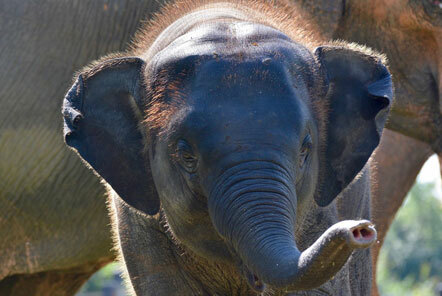 The project welcomes a new elephant! 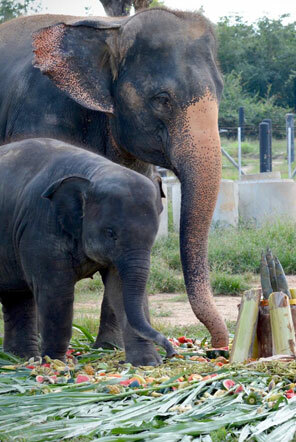 In December, staff and volunteers welcomed the latest addition to the sanctuary's elephant herd, Malai Gun. She has had a long life of exploitation, having spent nearly 65 years enslaved in the logging industry. This work resulted in an injury that has resulted in her being blind in the left eye. Her suffering tragically continued even after this as every day of the last 10 years has been spent working at a tourist camp giving rides. However, Malai Gun’s arrival at the project is the beginning of a new chapter in her life. 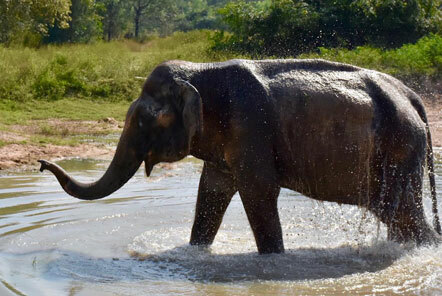 Life at the sanctuary is now free from the chains and exploitation she previously experienced, Malai Gun now spends her time enjoying mud baths and eating lots of fruits. The efforts of the volunteers and the tireless hard work of the Elephant Care project has been vital in improving the lives of these elephants. In the longer term, the project is hoping to purchase more land to be facilitate the rescue of more old ladies like Malai Gun. 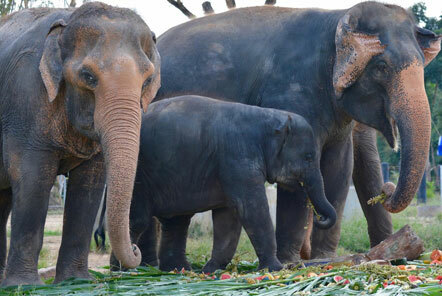 The ambitions of the project are crucial in the face of the growing elephant-tourism industry in Thailand. There is also a Wildlife Rescue role, which is based at the same centre, caring for monkeys, bears and other mammals. You can either choose to specialise in one role or do a combination of both Wildlife Rescue and Elephant Care. We look forward to bringing you more updates from the project in 2017!